Hello, hello, hello! Oh how I’ve missed the sewing community. Let me start by saying thank you for your thoughtful words on the birth of our boy. He’s four weeks today! Can you believe how fast time flies? I am definitely taking the advice of soaking up every minute with him. But I am also planning on taking advantage of the time he spends asleep. I’ve found that with all my maternity sewing I didn’t make anything that’s nursing friendly. Not a thing. And how many things do I own that are nursing friendly? Two, maybe three, if I feel like wearing a bright wrap dress (not really). So here I am planning a nice nurse-friendly wardrobe. I sometimes get distracted by shiny objects so no promises I will keep to this list. But I will use it as a guide. I snapped up this pattern as soon as it was announced. I had been trying to decide on a button up pattern and this one looked perfect. The ruffle in the back is such a great feminine touch. This has been in my stash for far too long and needs some attention. Oh Darling, I was so close to getting it right. Now with a bit of grading experience under my belt I’m ready to make this one up…again. In Chambray. I’ve been craving this dress for ages. It’s time for it to be made. View A, B or C. I’m not picky. And these two from Cake Patterns. And I can’t forget about my promise to complete a sewlution for the year. I’ve been desperate for a nice fitting blazer/jacket. I’ve decided to go with Colette’s Anise pattern. I bought the companion booklet and I’m hoping that it will get me through the making of my first outer garment. For practice sake I’m going to make a mini blazer for little dude. Working in miniature should make it less intimidating, right :)? This entry was posted in Nursing-Friendly, shirt/blouse and tagged blouse, nursing, nursing wardrobe, sewing, sewlution. Bookmark the permalink. Yay welcome back and congrats again!! A miniature blazer sounds *adorable*…perfect for a way too adorable little Ollie. I love all your plans, which are remarkably similar to my highest priorities too. 🙂 Go Archer! Oh my word, what a gorgeous little man!! Ahhh! A mini blazer! That’s going to be too cute! He is so sweet– what a precious little face! Congrats on the little one! Your photos on Instagram are too cute! Great line-up! 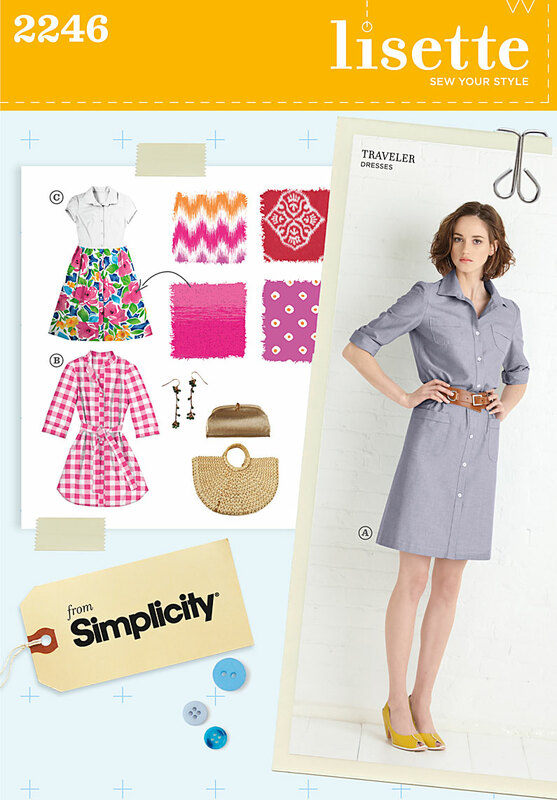 I love, and totally forgot about, that shirtdress from Lisette. It’s very cute. I’m also excited to see a mini blazer. That’s a great place to start. That’s why I like making clothes for my nieces and nephews – it’s like practice. Lovely, and welcome back! Those look like great choices. After I make a few summer maternity tops for myself in plan to focus on nursing appropriate items too since that part of my post-baby wardrobe is woefully lacking. I also have the Megan Nielsen nursing pack and her Piña dress looks like it would be a nice addition. 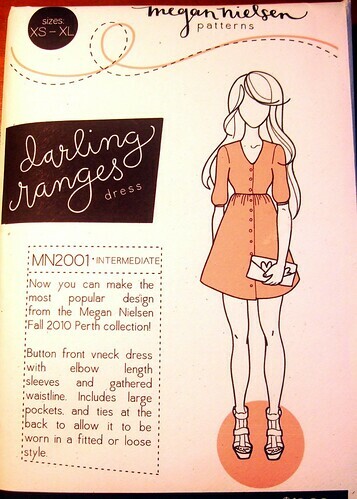 And of course Darling Ranges and Archer will be perfect! An Archer in voile will be so lovely. I’ll keep an eye out for it. Oliver + S have gorgeous mini trench coat which might make good practice. Having made the Archer shirt I just know that you will look fabulous in this. A couple of pointers – the sleeves come a little long, you might want to keep an eye on that. Also, the back ruffle version – it’s quite a dramatic swoop down in the hemline and if I made it again I might be tempted to ever so slightly redraft that hemline and make it more subtle. I also can really see you in that Pavlova wrap top. But basically, you’d look great in all the above! I know you already know this, but I LOVE seeing your little boy. He’s so handsome and gorgeous and you look so happy together. Welcome back! I agree with Karen on Archer I just finished one. Also I had to watch the ruffle didn’t sit on my high hip as its more flattering for me just below. Thank you. And thanks for the tips. Making a note of it for later. Much appreciated! I will keep your tips in mind when it’s time to fit the blouse. Much appreciated! Ohhhh Il est trop chou!!!!! You have very attractive projects!!! I just swoon at that little man…he’s just too adorable. And what a great plan you have…I can’t wait to see these come together. Can I just say something though: button down tops are not really that nursing friendly actually, because usually you have to unbutton them the whole way and then you’re exposing your stomach and it’s just generally inconvenient unless you go for an 90s open shirt over top look. I’ve pretty much stopped wearing them, and whenever I do I almost always end up just keeping it open with a cami underneath. The two cake ones look much more convenient because you’ll be able to just pull them rather than having to faff about with buttons. But what you’ve chosen all looks great anyway! Good to know about the button-ups. I do have nursing camis to wear under things so that’s good. But I can see the blouses getting tiring if you have to layer up. I’ll give one a go and see. Oh my gosh, little Ollie is ADORABLE!! I can’t wait to see him in a little blazer. I hope we get to see a lot of him! 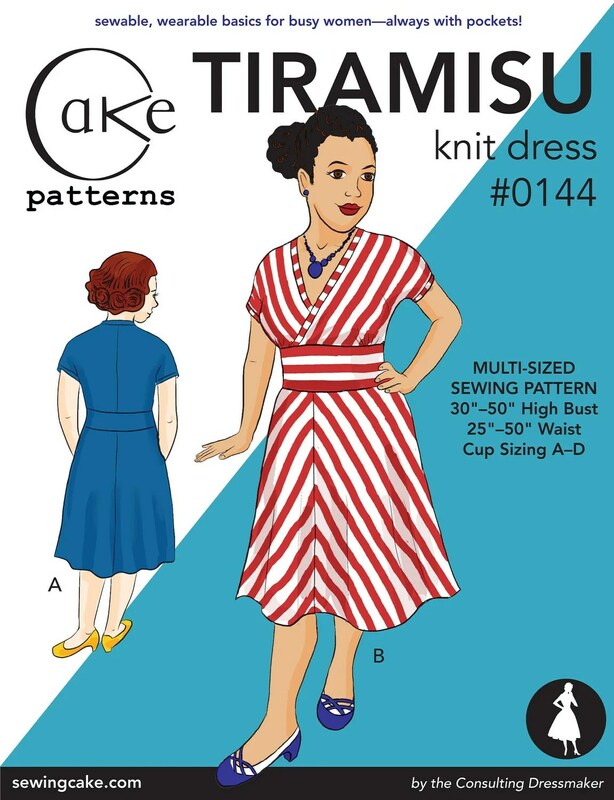 I have the Lisette and Tiramisu patterns in my queue too! Thanks Marie. Ollie sends you a big virtual snuggle. Oh my goodness, he is beautiful! I am sitting here just patiently waiting on my little one to GET OUT. Seriously. I have served her an eviction notice but she’s not taking heed. I’m excited to see what you will make. I’ve been thinking about nursing friendly clothes, too. I only have a couple of things that will work. 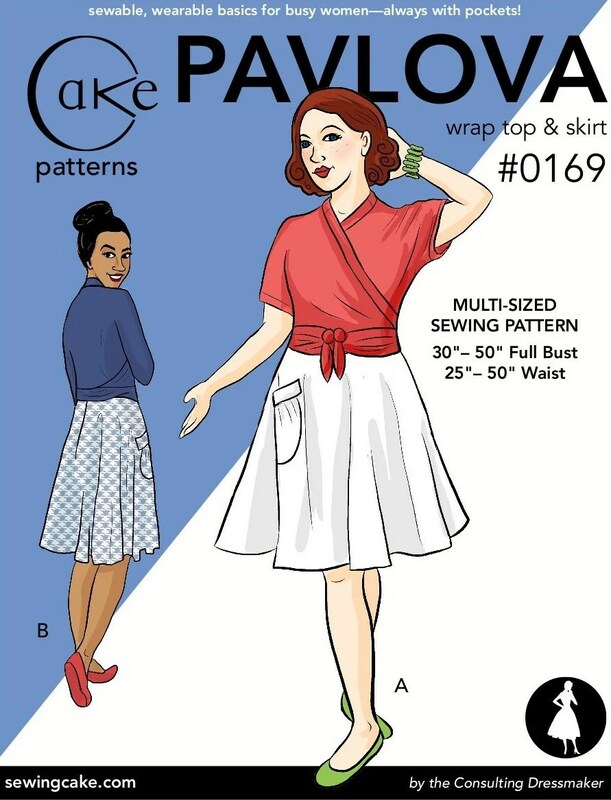 I just bought that new Amazing Fit faux wrap dress pattern (it has a separate bodice piece that ties on the side- like a flap) that I think I’m going to make. Maybe I should get started on it while I’m sitting around waiting…. Thank you. I bet as soon as you get started on that dress baby will start knocking 🙂 They have that sense of timing. Keeping my fingers crossed for you that she comes soon! Oh, he is so beautiful!! What a fantastic picture! And that tiny blazer is priceless! I think your little guy definitely needs one! Thank you. Yeah, a little blazer should be a lot more manageable at the moment. And cute to boot. That baby! He looks like he’s deep in concentration. I can’t wait to see your post-baby wardrobe. He’s a thinker! I swear. Aw wow congrats on the lovely bundle of joy (and patterns …..lol)! Thank you! Your love for Tira is infectious. I saw the potential after seeing all your posts about it. Nawww! Could he be any cuter?! And a teeny blazer or trench would be too adorable for words! What a gorgeous little boy!!!!! Can´t wait to see your next sewing project! What a wise-looking child you have! I agree with Franca about front-buttoning for nursing – hoiking up the hemline worked better for me, so tops rather than dresses. But the cake patterns look good for pushing aside – less draughty! Happy sewing! Your boy is beautiful! What a great photo. I just had a boy myself, about three weeks ago, and it’s so discouraging to have nothing to wear! I’ve made two Jalie nursing tops with 2787, and just have to hem a shirt made from 3132. They both are pretty good patterns, but I hate having to still wear my maternity pants. Patience! I think button up things are good for nursing. I wore them a lot after my daughter was born. After about a month, I realized that it was easier for me to unbutton the bottom few buttons, and sort of sneak her up in there from the bottom of the blouse. You’ll find what works for you! Thank you so much for sharing your suggestions. I will definitely look them up. And congrats on your little boy! Miss you too! I wish I could hop on a train and go visit with you. Bugger! No problem! Definitely get a few pieces done before baby arrives. It will save you some stress at having to go buy some.